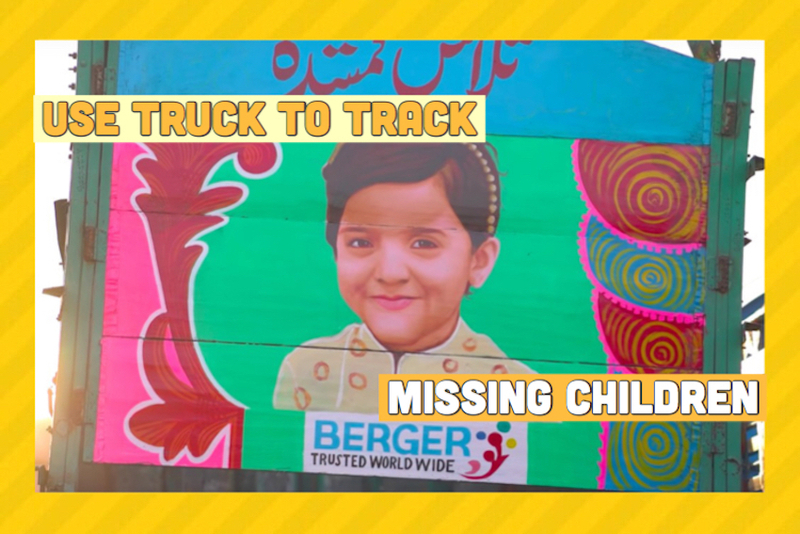 BBDO, Berger Paints and artist Samar Minallah Khan in Pakistan are utilising trucks to track missing children in the country. Under the #TruckArtChildfinder campaign, trucks in Pakistan have been turned into travelling billboards with paintings of pictures of missing children. They believed this will increase the possibility of spotting and recovering children who may have been trafficked to different parts of the country. A BBDO spokesman was quoted as saying that missing children was a real problem which needed a strategic solution, as they are often displaced quickly within the country. As a mobile mechanism was needed to spread awareness and increase chances of finding the children, trucks were a natural fit. The Truck Art Childfinder campaign is currently four weeks old and includes 20 trucks painted with the photos of children, plying the roads and highways of Pakistan where over 1 000 calls have been received from 39 different cities across Pakistan, of which 104 were leads for missing children. BBDO intends to have 500 vehicles carrying these images over the next six to eight months.